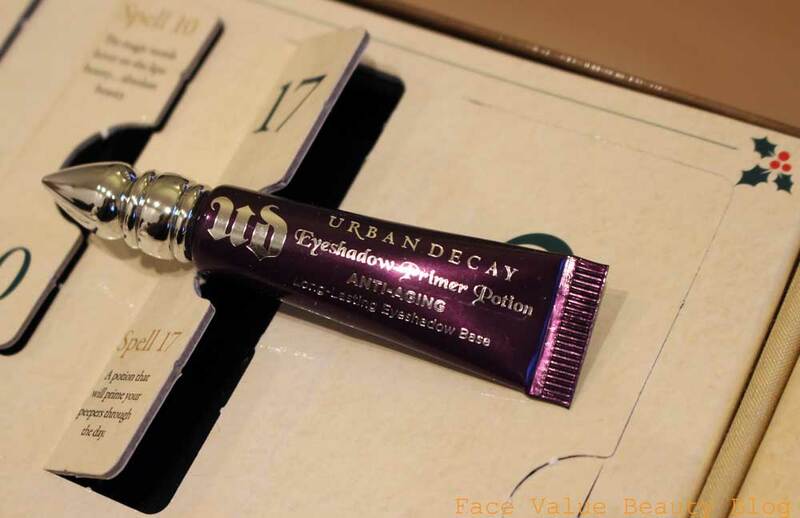 Selfridges Beauty Advent Calendar REVEALED. Was It Worth It? So this year I splashed out on a Selfridge’s Beauty advent calendar. 85 squids it was – I still can’t quite believe I bought it…..but was it worth it? So, all windows opened, what did I get? Was it worth the money? Here’s the hoard! A treasure trove of minis and samples, there was a great range of brands – YSL, Kiehls, Urban Decay, Armani and Lancome – a LOT of Lancome. I already gave a rundown of the first 12 days so I’ll spare you another download – instead, here are my TOP HIGHLIGHT’S from the calendar. 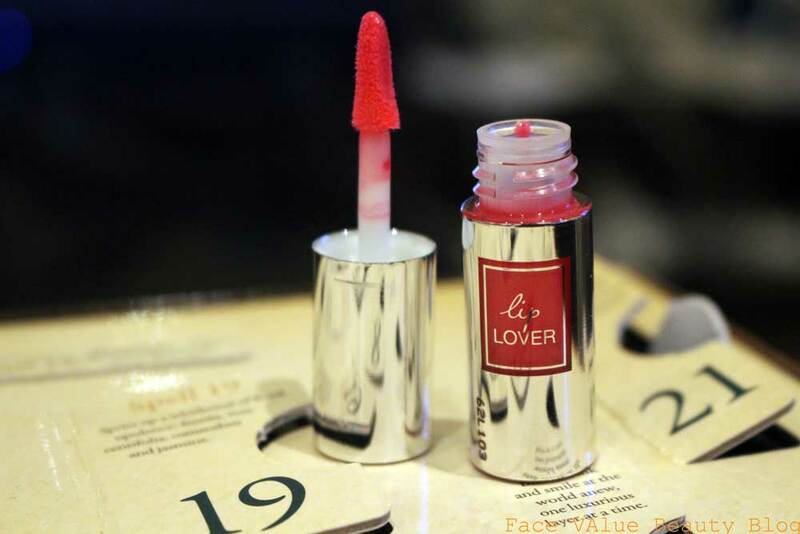 I have never tried this lip gloss before but the Lancome Lip Lover is a DREAM. Seriously, I’m not a gloss fan but this stuff moisturises, smoothes and provides comfortable, non sticky and long lasting colour. There were actually TWO Lip Lovers in this calendar (one in Raspberry, one in Red) which normally I’d be like, LAZY MUCH? But because I love it so much, I even did a little Just-eat fist pump haha. LOTS OF LOVELY TRAVEL SIZE STUFF. Perfect sized beauty treats for all the little family visits and overnights I’m doing over the festive season. I feel like I cant lug my full beauty arsenal with me so this is a great compromise. 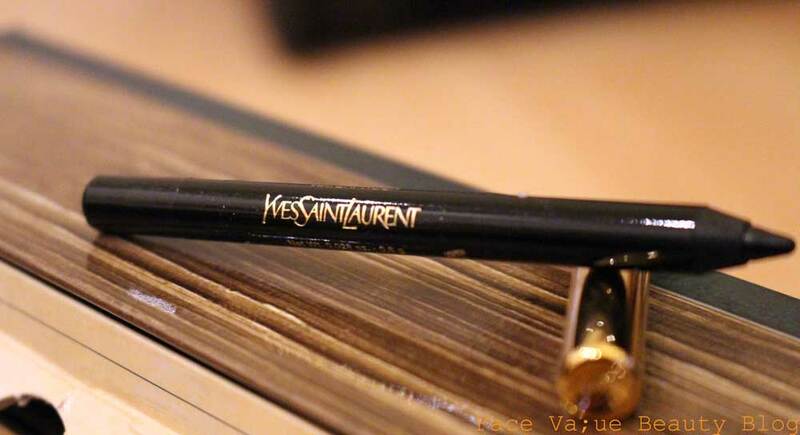 Really like the mini YSL eyeliner, thatta ones going in my handbag straight away! 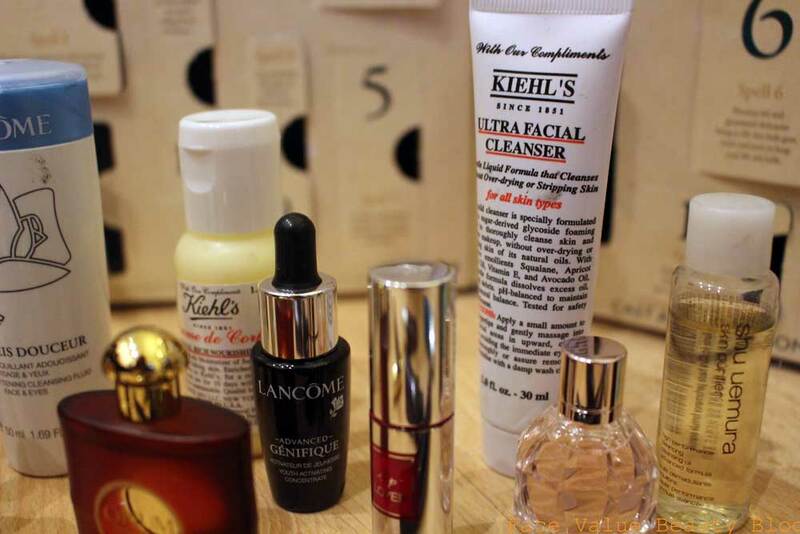 The best skincare bit – this Kiehls Midnight Recovery Concentrate. Never tried it before and so glad I’ve now been introduced. 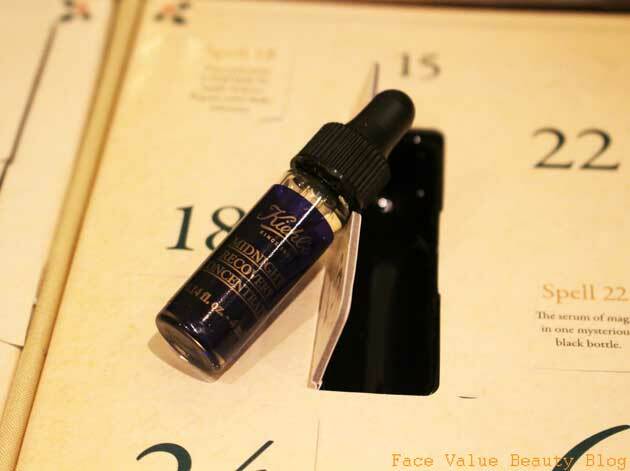 The Midnight Recovery Concentrate is basically the lightest, most absorbable facial oil ever! As an oily skinned girl,I’m not a huge fan of facial oils but this one is lovely, as well as promising younger, healthier looking skin by the morning. It’s a great start for those of you in your twenties looking into starting an anti-ageing routine! I’m glad I bought the Selfridge’s beauty calendar as it introduced me to lovely products which I wouldn’t have normally bought for myself. It’s also helped me discover new hero products which I will definitely be buying full-size. 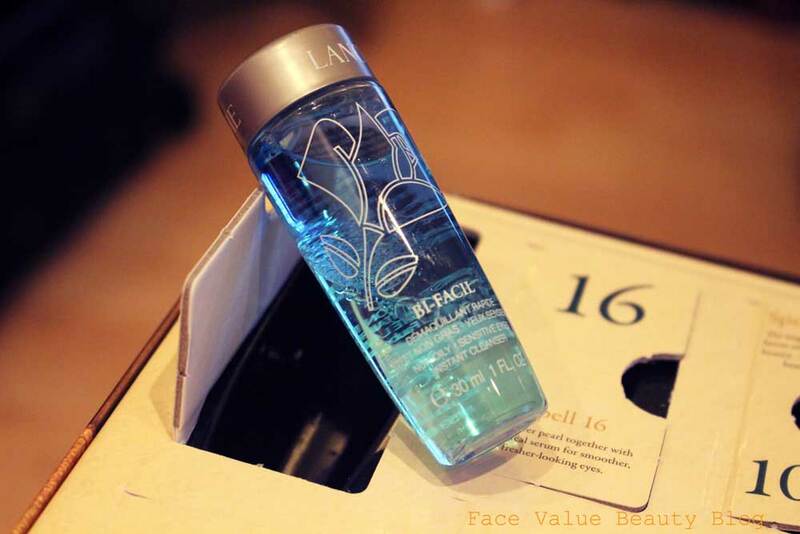 HOWEVER, there is a LOT of Lancome – no bad thing in itself, but it may as well be a Lancome calendar really! All in all, I’ll definitely buy another calendar next year, but not sure how much different the items would be – this looks very similar to the 2013 version so I’d definitely switch brands. 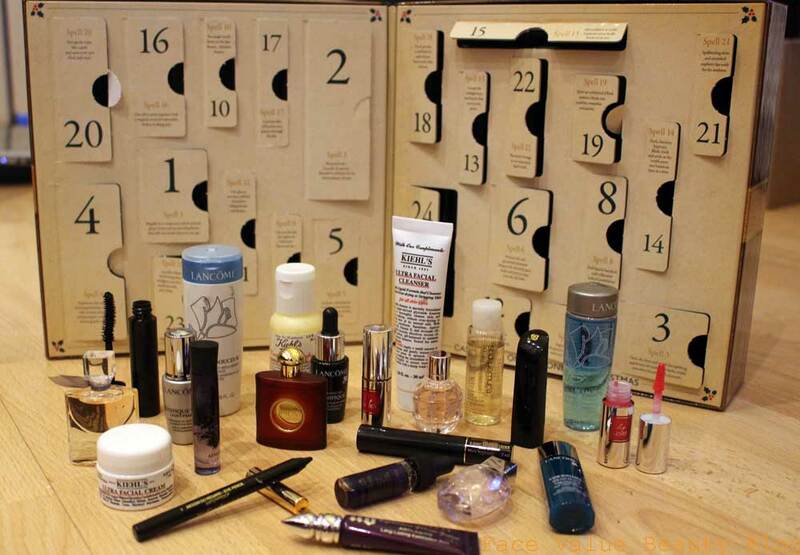 How much would you pay for a beauty advent calendar? Have you tried any of my new hero products? Previous Post Quick Xmas Beauty Cheats To Get Polished, PRONTO. Next Post FEAST YOUR EYES: A Very Chinese Christmas! As is, it's a tough call. Some of the stuff you've got is awesome, and is stuff that you wouldn't normally get to try, ie. the Kiehls bits, the Urban Decay and I like the mini perfumes which have a decent amount in (unlike the teensy testers you sometimes get). I think you're right and it's way too Lancome-heavy though; especially as I find a lot of the Lancome bits you've got, you get given with a make-up bag as freebies when you buy 2 Lancome products for example. If they replaced a couple of the Lancome bits with other brands I think it'd be well worth buying next year :). I am in agreement with everything you say!! I love the concept, just want less Lancome next year! I want a Yankee Candle one! For me, the ideal calendar would have makeup, skincare, fragrance AND candles and haircare.